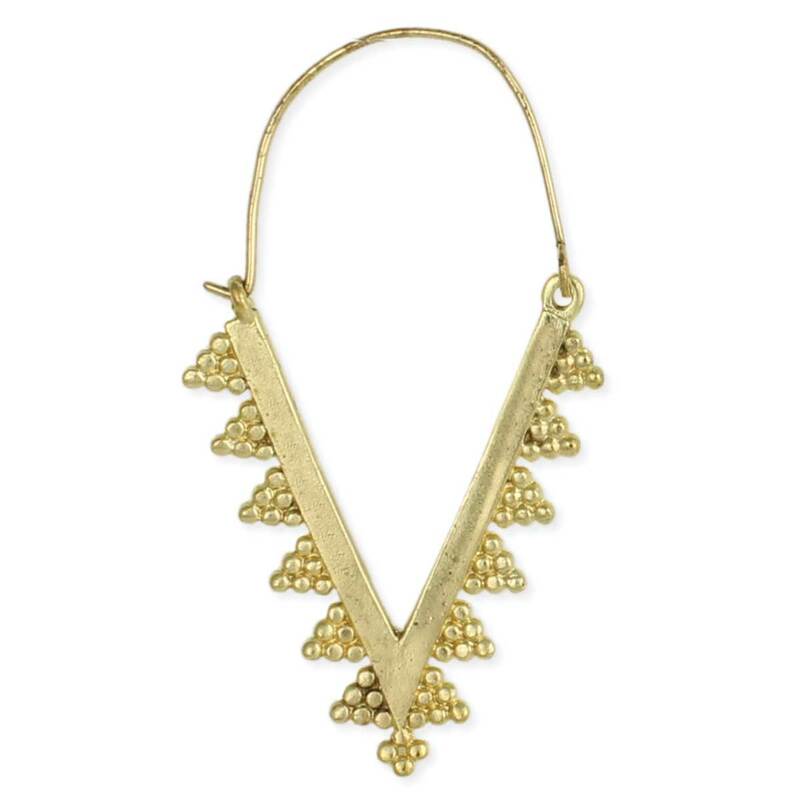 Accentuate your style with these decorated gold triangle hoop earrings! 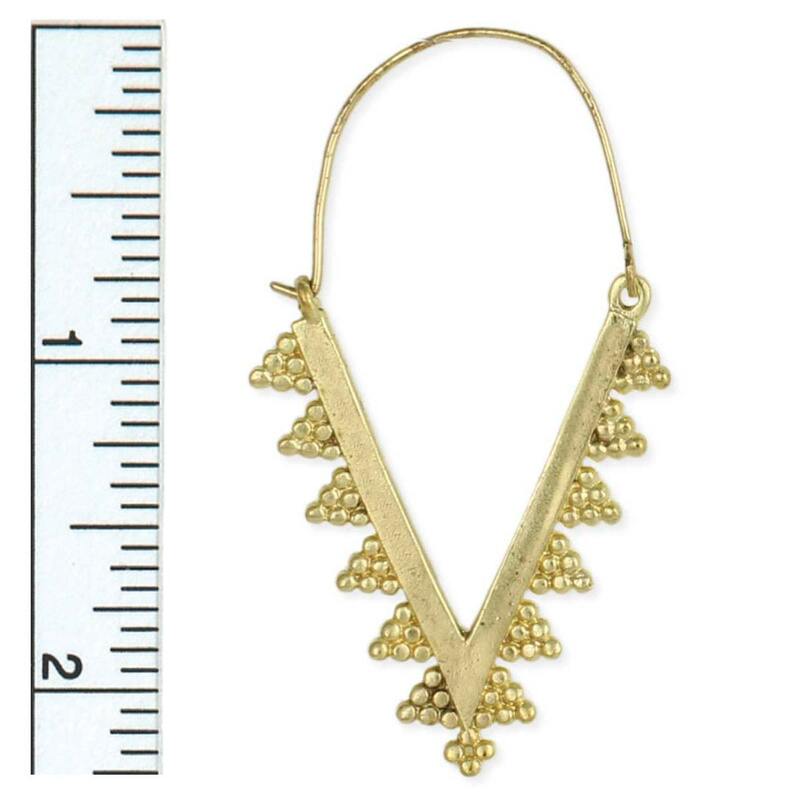 The light burnished gold hoop earring includes a pointy base and granulated design border. A unique take on the basic hoop earring. Measurements (approx.) 2 1/4 x 1 1/4"